Contra Costa College, Diablo Valley College-Pleasant Hill Campus, Diablo Valley College-San Ramon Campus, Los Medanos College-Pittsburg Campus, Los Medanos College-Brentwood Center, will resume a regular class schedule and student services beginning today, Friday, October 13. Outdoor sport activities will continue to be limited until further notice, but indoor activities including theater performances will still be held as scheduled. The weather forecast for this weekend calls for increasing winds that may hamper firefighting efforts and contribute to poor air quality. We encourage students and staff to continue monitoring email, website and social media over the weekend for any updates. Contra Costa College, Diablo Valley College, Los Medanos College, and centers at Brentwood and San Ramon, will be closed tomorrow, Thursday, October 12, due to poor air quality as a result of the fires in Solano and Sonoma counties. The District will evaluate the situation and provide an update as new information becomes available. We encourage students and staff to continue monitoring email, website and social media. This Friday morning, close to 250 Contra Costa County Career Technical Education/Regional Occupational Program (CTE/ROP) high school students will be visiting local modern industrial businesses, in observation of Manufacturing Day. National Manufacturing Day, started in 2012, is an annual celebration of modern manufacturing, during which manufacturers invite their communities — including students, educators, business people, media, and politicians — to their facilities in a collective effort to educate visitors about manufacturing career opportunities and improve public perceptions of manufacturing. By working together during and after Manufacturing Day, manufacturers will begin to address the skilled labor shortage they face, connect with future generations, strengthen the public image of manufacturing, and ensure the ongoing prosperity of the whole industry. More than 250 students, currently attending CTA/ROP engineering/industrial-related courses at Antioch High, Mt. Diablo High, Concord High, and Ygnacio Valley High will be visiting local modern manufacturing businesses to get a first-hand look at their hosts’ operations, and possible career opportunities. The Contra Costa County CTE/ROP serves nearly 12,000 students annually with classes in 34 high schools throughout Contra Costa and Alameda counties. Currently, there are 399 state-of-the-art career development classes in this program. CTE/ROP focuses on career preparation and exploration, hands-on experience, and academic excellence to prepare students for success in college and future careers. CTE/ROP provides students with the newest equipment, rigorous academic standards, and classes in emerging technologies. All of the CTE/ROP classes and programs are directed by and funded through the CCCOE. For more information about CTE/ROP classes, visit their website. Friday, October 6, 2017; primarily between 9:00-11:00 a.m. 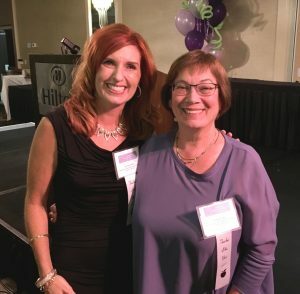 Starting on September 14, 2017, the Contra Costa County District Attorney’s Office Sexual Assault Unit, in conjunction with the Silicon Valley Internet Crimes Against Children Task Force, expanded an outreach program directed at parents, teachers and students on the topics of cyber-bullying, campus sexual assault awareness and online safety for kids. The presentations are aimed at educating parents and teachers on new trends involving social media, as well as providing students with information and tools to improve campus safety and prevent online exploitation. “We’ve been working to have somewhere for schools to call to have presentations made for students and parents,” Graves added. Schools, community organizations and parent/teacher groups who are interested in learning more can call Deputy District Attorney Lauren Whalen at 925-957-8603. The Contra Costa County Elections Division is coordinating a large-scale registration campaign with 25 Contra Costa County high schools as part of National Voter Registration Day on Tuesday, September 26th. 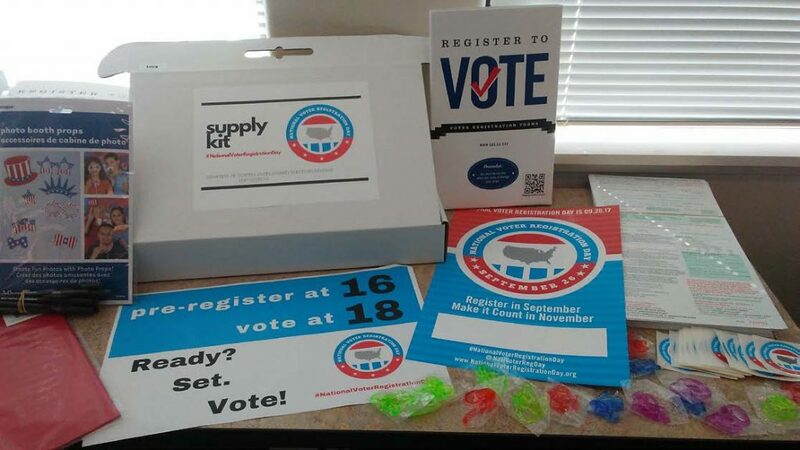 The Elections Division is providing ready-made registration kits to facilitate on-campus events, which contain everything needed to conduct a registration drive. In addition to registering 18-year-old students, those who are 16 and 17 years old can also “pre-register” to vote. National Voter Registration Day is an annual event to create awareness of voter registration opportunities and to reach those who may not otherwise register. The Elections Division joins 2,500 organizations across the country in promoting voter registration and celebrating democracy on National Voter Registration Day. This is the third year Contra Costa Elections has organized National Voter Registration Day efforts with county high schools, and over 1,000 students have registered or pre-registered to vote as a result. Concord High School civics teacher Andrew Shetterly expressed his excitement, noting that very few of his students are currently registered to vote. “I think it will be powerful to have them all register together. The kits help turn the act of registering into a life event that students can share and it feels official,” Shetterly said. The Elections Division urges all eligible voters to register or update their registration, which can be done online at www.registertovote.ca.gov. Interested groups are encouraged to hold their own voter registration events on September 26th. Contact our office at 925-335-7805 for information or visit www.NationalVoterRegistrationDay.org for ideas and details. National Voter Registration Day is celebrated annually on the 4th Tuesday in September and has been endorsed by the National Association of Secretaries of State and the National Association of State Election Directors. 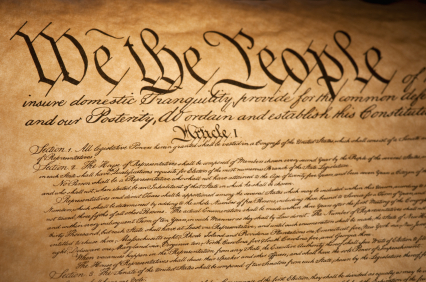 PHILADELPHIA –– Many Americans are poorly informed about basic constitutional provisions, according to a new national survey by the Annenberg Public Policy Center. “Protecting the rights guaranteed by the Constitution presupposes that we know what they are. The APPC survey, conducted Aug. 9-13 among 1,013 adults in the United States, finds that 53 percent think that people who are here illegally do not have any rights under the Constitution. That incorrect belief is especially strong among self-identified political conservatives – 67 percent think it is accurate, compared with 48 percent of moderates and 46 percent of liberals. Most respondents, though not all, know that under the Constitution, U.S. citizens who are atheists or Muslim have the same rights as all other citizens. Seventy-nine percent of respondents know it is accurate to say that U.S. citizens who are atheists have the same rights as other citizens, and 76 percent know it is accurate to say that citizens who are Muslim have the same rights as other citizens. Only 26 percent of respondents can name the three branches of government (executive, judicial, and legislative), the same as last year. People who identified themselves as conservatives were significantly more likely to name all three branches correctly than liberals and moderates. The 26 percent total was down significantly from APPC’s first survey on this question, in 2011, when 38 percent could name all three. In the current survey, 33 percent could not name any of the three branches, the same as in 2011. The phone survey, conducted for APPC by the research firm SSRS, has a margin of error of ±3.7 percent. For more on the methodology and questions click here. APPC’s Annenberg Classroom, presented by the Leonore Annenberg Institute for Civics, has created a series of free, award-winning videos for educators and the public, including Yick Wo and the Equal Protection Clause, The Role of the Courts, and Freedom of the Press: New York Times v. United States. Annenberg Classroom has joined with 30 other nonpartisan organizations to create the Civics Renewal Network, which offers free, high-quality educational materials online. Among CRN’s partners are the Library of Congress, the National Archives, the National Constitution Center, the U.S. Courts, the NEH’s EDSITEment Project and iCivics. Constitution Day (Sept. 17) will be observed Monday, Sept. 18. To mark it, the U.S. Courts are holding naturalization ceremonies nationwide and educators will lead students in the “Preamble Challenge,” celebrating the Preamble to the Constitution. The Annenberg Public Policy Center was established in 1994 to educate the public and policy makers about the media’s role in advancing public understanding of political, health and science issues at the local, state and federal levels. Find APPC on Facebook and Twitter: @APPCPenn. Follow the Civics Renewal Network: @CivicsRenewal. Rumors circulating through Antioch over the weekend have been confirmed, today that former First Lady Michelle Obama has been invited to speak at the Mary Allan Fellows Awards Dinner in Antioch on Sept. 19. The annual event hosted by the Antioch Schools Education Foundation will be held at the Lone Tree Golf & Event Center. Tickets are completely sold out. 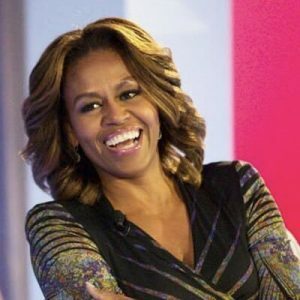 The ad for the event states that it features “2017 National Counselor of the Year Terry Tchorzynski and Special Guest.” That special guest is presumed to be Mrs. Obama. Although the ad for the event has the Antioch Unified School District’s logo on it, they are not a sponsor of the event. They are a recipient of funds raised by the foundation, Ruehlig explained. However, none of the board members of the foundation are allowed to speak about it, due to security concerns, according to someone else who did not want to be identified. That person said to call Antioch Police Chief Tammany Brooks. It was also rumored that President Barack Obama was also invited, but that was not confirmed. The four teachers who will be honored as Fellows the event are Tammy Ely-Kofford, 11th Grade Social Science teacher at Deer Valley High School; Jacey Renfroe, 5th Grade teacher at Marsh Elementary; Italo Rossi, 11th/12th Grade Human Anatomy & Physiology and AP Biology teacher at Antioch High School; and Frank Zrinski, Seventh Grade Science teacher at Antioch Middle School. “We will be honoring all 35 counselors in the district for the first time ever,” she added as another reason the tickets sold out so quickly. Attempts to reach Chief Brooks for this article were also unsuccessful.